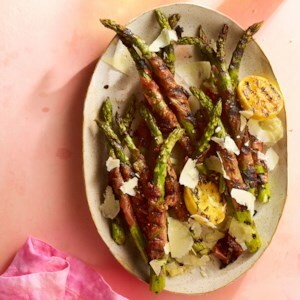 Find healthy, delicious meat appetizer recipes, from the food and nutrition experts at EatingWell. 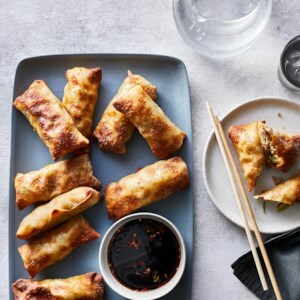 Get intensely crunchy homemade egg rolls with much less fat by using an air fryer. Roll these up ahead of time and store them in the fridge for a make-ahead appetizer or dinner side dish. You can toss them in the fryer when you need them. A cheeseboard is an ideal stationary hors d'oeuvre for holiday entertaining. 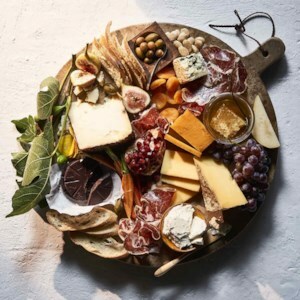 Select a variety of cheeses, making sure to include an aged variety, a creamy cheese, a blue cheese and perhaps a smoked cheese. 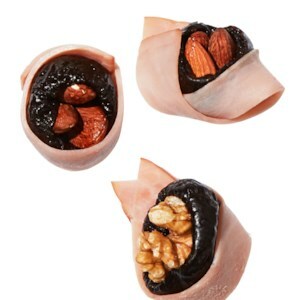 Round out the platter with cold cuts, bread, an abundance of seasonal fruits, dried fruit, crudité, nuts and olives. We even included some dark chocolate to cap it off! 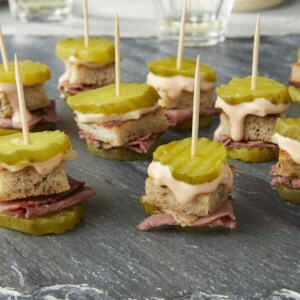 This pickle-on-a-stick appetizer has all the flavors of a classic Reuben sandwich in one small bite. 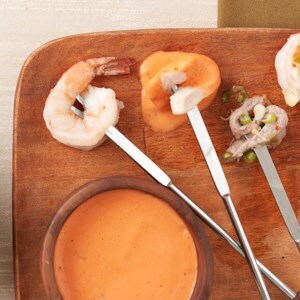 Watch this crowd-pleasing no-cook appetizer disappear in a snap at a party, game-watch or tailgate. 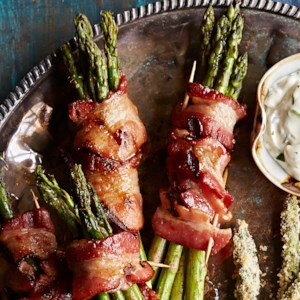 Serve these bacon-wrapped asparagus spears at your next party. They're grilled with a cayenne and honey mustard glaze and the taste is out of this world. 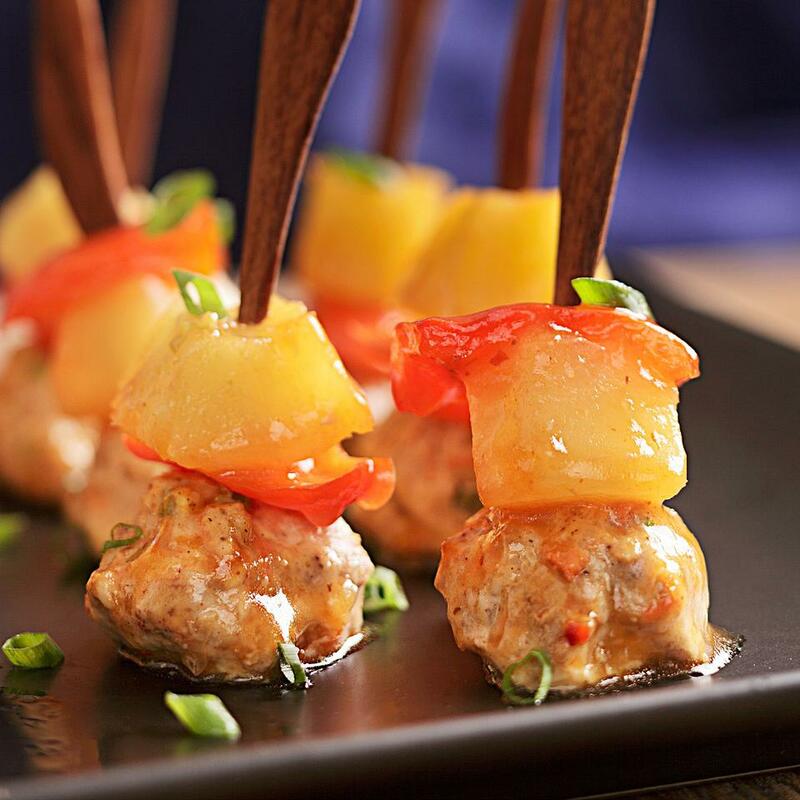 These mini meatballs are made with a tasty mixture of ground turkey breast and pork. 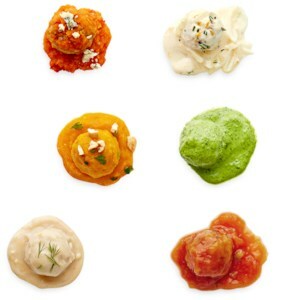 Each serving of six meatballs has under 200 calories. 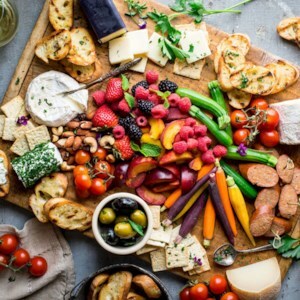 This easy cheese board features a bounty of seasonal vegetables and fresh fruits, which add color and complement the variety of cheeses. 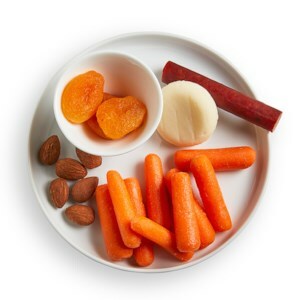 We've made cheese suggestions, but feel free to mix and match with your favorites. 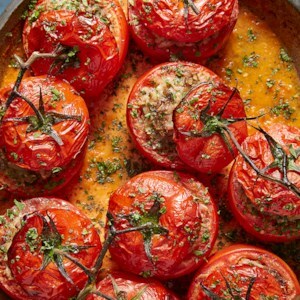 For the fresh produce, improvise based on what's available at your market and what's in season. 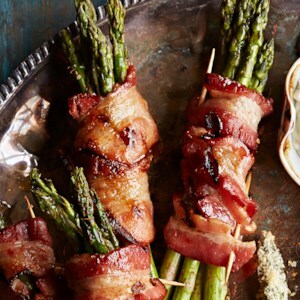 This delicious bacon and asparagus appetizer is ready in under 30 minutes! 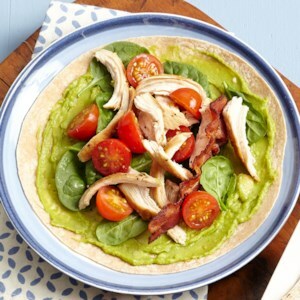 The traditional ingredients of a BLT--bacon, lettuce and tomato--are enhanced with chicken and avocado, and served in an easy-to-eat, whole-wheat tortilla wrap. 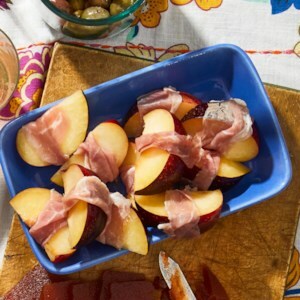 In this simple appetizer recipe, cloaking juicy stone fruit with rich ribbons of cured meat is a quick and simple route to salty-sweet perfection. Serve on your next cheese board with Spanish Manchego cheese and Marcona almonds. Sweet, smoky and savory, these sausage appetizer bites are a cinch to throw together at the last minute. 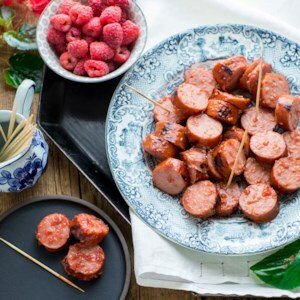 Just throw some smoked sausage on the grill, slice and toss with the fresh homemade raspberry barbecue sauce for the ultimate crowd-pleaser. Who doesn't love a BLT? In this Mexican-inspired version, we've added chicken and avocado and wrapped it in a tortilla, making it easy to eat. Everyone can have fun cooking their own steak, chicken and shrimp in only minutes. Enjoy with Ginger-Wasabi Sauce and Lemon-Pepper Aioli. 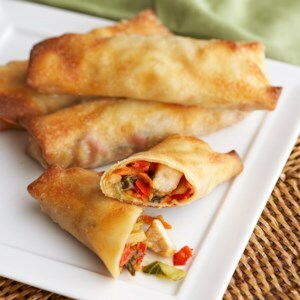 Chopped water chestnuts add extra crunch to the savory filling in these delightful morsels. 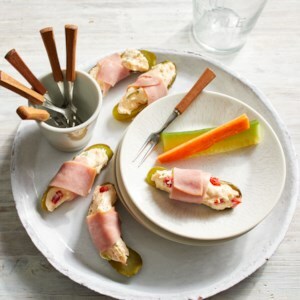 For this no-cook game-day appetizer, tangy dill pickles are stuffed with a creamy filling that's peppered with sharp Cheddar and sweet pimientos, and then wrapped with ham. We cut back on the sodium by scraping out the pickle seeds and opting for reduced-sodium ham, which has 260 milligrams (or less) of sodium per 2-ounce serving. 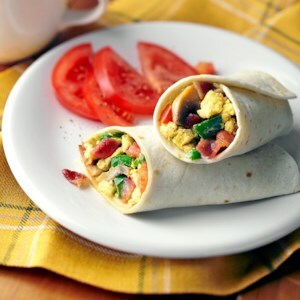 This Mexican-inspired bacon and egg breakfast is rolled in a tortilla and eaten with your hands. 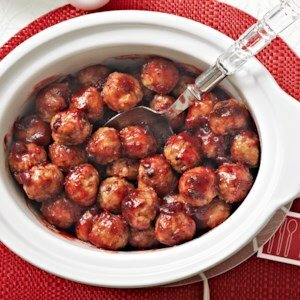 Mix chopped dried cranberries together with your meatball mixture to add a hit of sweetness in every bite. These meatballs start in the skillet but finish in the slow-cooker, making them an easy make-ahead meal.